Autism spectrum disorder (ASD), or autism, is a complex developmental brain condition that is more prevalent in children; however, it can potentially progress into adulthood. ASD symptoms include repetitive or narrow behaviors, obsessive interests, issues with social interaction, and problems with non-verbal and verbal communication. Repetitive training or repetitive learning is an educational system that is commonly used to teach kids with autism. However, according to a new study published in the journal Nature Neuroscience, researchers found that the repetitive training technique may actually be harmful for an autistic child’s ability to apply new information to situations. The study found that decreasing repetitive teaching may actually help enhance the learning abilities in those with autism. “There have been few systematic investigations into the fundamental mechanisms by which information is acquired by ASD individuals—and into the potential reasons for their restricted, atypical learning,” explained study author Marlene Behrmann. For the study, the researchers would use a computer-based perceptual learning protocol to teach a healthy control group and a group of high-functioning ASD adults to find three diagonal bars surrounded by horizontal lines during eight daily practice sessions. The participant’s accuracy and speed were measured for the study. The bars were kept in the same location of the screen during the first four days of the study, but through days five to eight, the bars moved to a different location. The repetitive learning phase took place during the first four days, and accuracy and speed were equal for the control and ASD groups. However, the diagonal bars location changed from days five to eight. On the other hand, the control group had a smooth transition to learn the new location, while they would continue to improve their performance. In the ASD group, participants performed poorly when the location of the diagonal bars had been changed during days five to eight. The ASD participants also did not improve their performance. They didn’t learn the second location with the same ease as the first. This suggests that the repetitive technique had disturbed the learning of autistic adults. “It’s like they showed ‘hyperspecificity’ of learning—their learning became fixed and inflexible—since learning the first location adversely influenced their ability to learn the second instance,” explained lead study author Hila Harris, who is a doctoral candidate in the Department of Neurobiology at the Weizmann Institute of Science in Rehovot, Israel. Follow-up experiments later found that hyperspecificity in repetitive learning would be eliminated in those with ASD when repetitive learning was decreased. 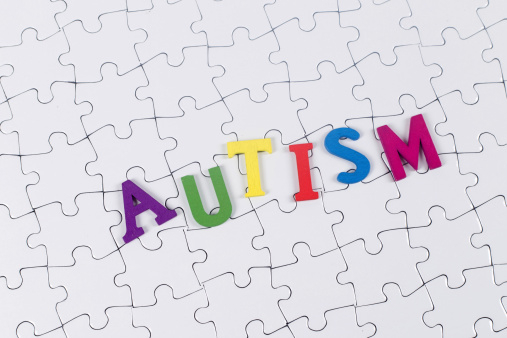 The new tests put the ASD adults and healthy controls in the same experiment. This time the researchers would occasionally add a “dummy” screen without any diagonal bars, for the first four days. On day five when the bar location has been changed, the autism adult group would learn the new location. “This is a very interesting study with potentially earthshaking implications for the educational and behavioral approaches to ASD,” commented Dr. Matthew Siegel, who is the director of the Developmental Disorders Program at Spring Harbor Hospital in Westbrook, Maine. In other ASD news, an expert panel established new nutritional management guidelines for gastrointestinal symptoms in ASD. The findings were published in the Journal of the Academy of Nutrition and Dietetics (JAND) in July of this year. A digestive enzyme, fish oil, probiotic, and vitamin D are among the nutritional supplements often recommended for individuals with ASD. Brooks, M., “New Findings May Revolutionize Approach to Autism Education,” Medscape Multispecialty web site, October 8, 2015; http://www.medscape.com/viewarticle/852372. Harris, H., et al., “Perceptual learning in autism: over-specificity and possible remedies,” Nature Neuroscience, published online October 5, 2015, doi: 10.1038/nn.4129. Balch, J., et al., Prescription for Natural Cures: A Self-Care Guide for Treating Health Problems with Natural Remedies Including Diet, Nutrition, Supplements, and Other Holistic Methods (Hoboken: John Wiley & Sons, Inc., 2004), 73–76. Berry, R.C., et al., “Nutrition Management of Gastrointestinal Symptoms in Children with Autism Spectrum Disorder: Guideline from an Expert Panel,” Journal of the Academy of Nutrition and Dietetics, 2015, doi: http://dx.doi.org/10.1016/j.jand.2015.05.016. “Repetitive Training Not Ideal Autistic Kids,” Psychiatry Advisor web site, October 6, 2015; http://www.psychiatryadvisor.com/autism-spectrum-disorders/autism-children-repetitive-training-contraindicated/article/443259/.